2m Slimline Track in anodised (Satin silver) finish. Easily cut to size with a hacksaw. 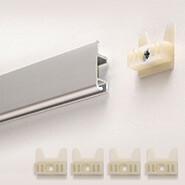 Each length of track comes with one pack of 5 wall anchors to fix the track to the wall (screws are not included). Track easily snaps on to wall anchors. 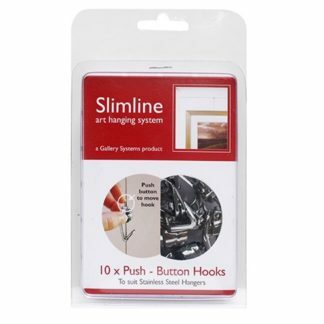 Note: Don’t forget to order Slimline Hangers and Hooks. 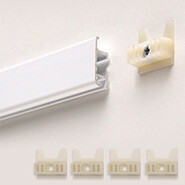 SKU: GSL.TRACK2 Category: Slimline System. Sleek and unobtrusive. Residential or Commercial.